Property ownership, and how this is dealt with upon two people entering into a marriage, is governed by the Matrimonial Property Act, 88 of 1984. According to this Act, there are three types of marriages that one can enter into in South Africa, namely: In Community of Property, Out of Community of Property Without Accrual, and Out of Community of Property With Accrual. Each type will have different consequences on the ownership of property, and because of this, it is important that the couple getting married selects the one that will suit them best with the help of an attorney prior to entering into the marriage. This type of marriage is the default within South Africa, and if no antenuptial contract is entered into, this will be the regime that will govern the marriage. Under a marriage In Community of Property, all property owned by both parties becomes part of one joint estate that is then owned equally by both parties. The same would apply to all property acquired during the course of the marriage; regardless of which person buys the property, it will form part of the joint estate and will be owned in equal shares by both parties. There may be certain exclusions to this such as property inherited with the express intent for it not to form part of the joint estate. Should an antenuptial contract be entered into, a marriage Out of Community of Property without Accrual may be selected to govern the marriage. 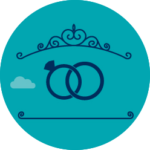 Under this system, all property remains separate and is owned individually by the parties to the marriage. As such, any property owned by either party at the time of the marriage will remain theirs only and may be used, sold or bequeathed in whichever way that individual sees fit. The same will go for property acquired by one party during the course of the marriage. This marriage regime is also entered into through an antenuptial contract. Under this regime (as with the previous one mentioned), all property owned by each person at the time of entering into a marriage remains the sole property of that person. However, the total accrual (profit) gained during the marriage will become part of a joint estate and will be owned jointly and equally by both parties. 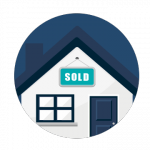 There may be certain exclusions such as a particular item of property that is specifically excluded in the contract, or inheritance that is expressly not to form part of the joint estate. At the point of the entering into this contract, the total worth of each person’s estate is calculated. Upon conclusion of the marriage (through death or divorce), the total estate worth of each person is calculated again in order to determine the total accrual. This total accrual is the value which is then divided equally by the two people (or estates) which will mean that the estate with the larger accrual will owe the other half the difference. For example: X and Y marry Out of Community of Property with Accrual. At the time of marriage, X’s estate is worth R1m and Y’s is worth R1.5m. At the end of the marriage, the values are R1.2m (total increase of R200 000) and R2.5m (total increase of R1 000 000) respectively. The difference between the two increases is R800 000 and as such, to ensure an even distribution of accrual during the marriage, Y’s estate will owe X’s estate R400 000. While this offers a brief overview of the consequences of the different types of marriage on the ownership of property, there are additional details that are important to consider prior to entering into a marriage. As such, we would always recommend sitting down with an experienced attorney who can offer advice and assist in making the right choices for you.